Its title may sound like a Star Wars-based mockbuster by The Asylum (the studio that brought us Sharknado and Atlantic Rim), but Stellar Wars, a new iOS title out now from developer Liv Games, is actually the followup to 2011’s megapopular Legendary Wars. Only this one takes place in space and stars a bunch of cute robots. So it’s off to a promising start from that alone. 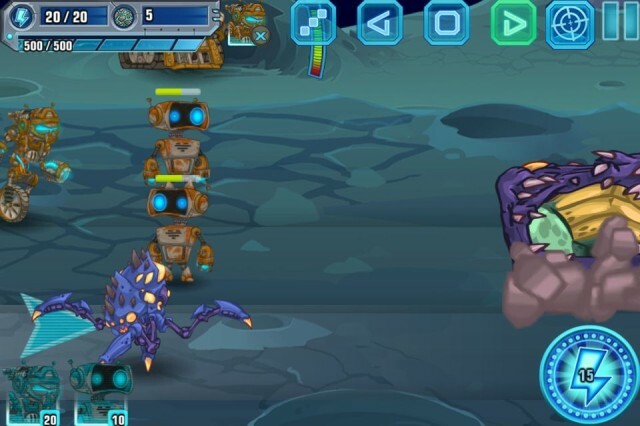 Once you get over the cute overload from those little guys, though, Stellar Wars reveals itself to be a complex, surprisingly deep melange of a bunch of different game styles that shouldn’t work together, but then they totally do. Just expect to have to work for it.